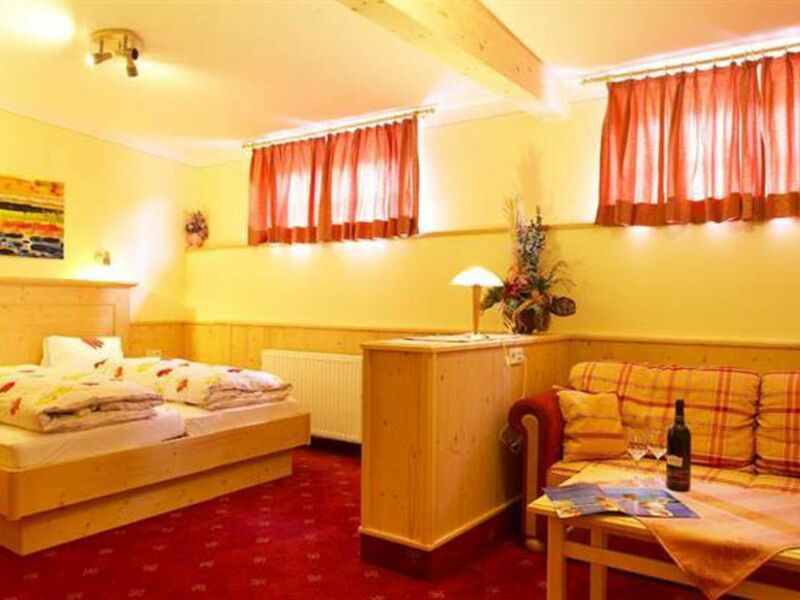 Whether a romantic couple holiday or a cozy family holiday - in the Gasthof Walcher in Dorfgastein you will be welcomed with modern furnished rooms and rustic fare! Location of the accommodation The Gasthof Walcher in Dorfgastein has the best location for a relaxing holiday in Dorfgastein: Not 100 meters from the bus stop Luggau Kapelle, and thus from the free ski bus, which is a 4-minute drive from the summit lift Fulseck. Description In the family-run 3-star Gasthof Walcher you can expect a special holiday in Dorfgastein: 14 rooms with shower - some with bath and toilet, 2 suites and a junior suite with additional minibar are available here. The rooms are colorful and comfortably furnished, with each room featuring individual accents. The Gasthof Walcher is also extremely child-friendly: in addition to a children's playground and a children's menu, there is even a babysitter on request. Whether you are planning a family vacation with the little ones, or a romantic couple vacation for two, the Gasthof Walcher has the right accommodation for everyone! The chef and national champion in the Kasnockenkochen pampers you with regional delicacies of the beautiful province of Salzburg, prepared with fresh herbs from our own herb garden. For the evening 3-course menu with salad buffet, there is always a vegetarian alternative. If you want a special culinary taste experience, the Gasthof Walcher likes to organize a carriage ride followed by a round of ribs. Summer in Gastein Directly from the house you can start a hike on the Präau Alm or Heinreichalm. A few beautiful hikes also lead from the Fulseck summit lift: via the Arltörl and then the Jägersteig, a particularly energizing circular hike leads back to the middle station of the mountain railway, from where you can relax by taking the train back down to the valley. Winter in Gastein If you are in the mood for an intense nature experience in the snow-covered mountains of Gastein, snowshoeing is just the thing for you! As a romantic couple experience or with the whole family, you can choose from countless offers in Gastein: For example, the ski school Dorfgastein offers guided snowshoe hikes and equipment rental. The Gasthof Walcher in Dorfgastein welcomes you in the heart of Gastein!